Once one of the most prosperous nations in Africa, Zimbabwe is now among its most desperate. The United Nations consistently ranks Zimbabwe among the lowest of all nations for quality of life. 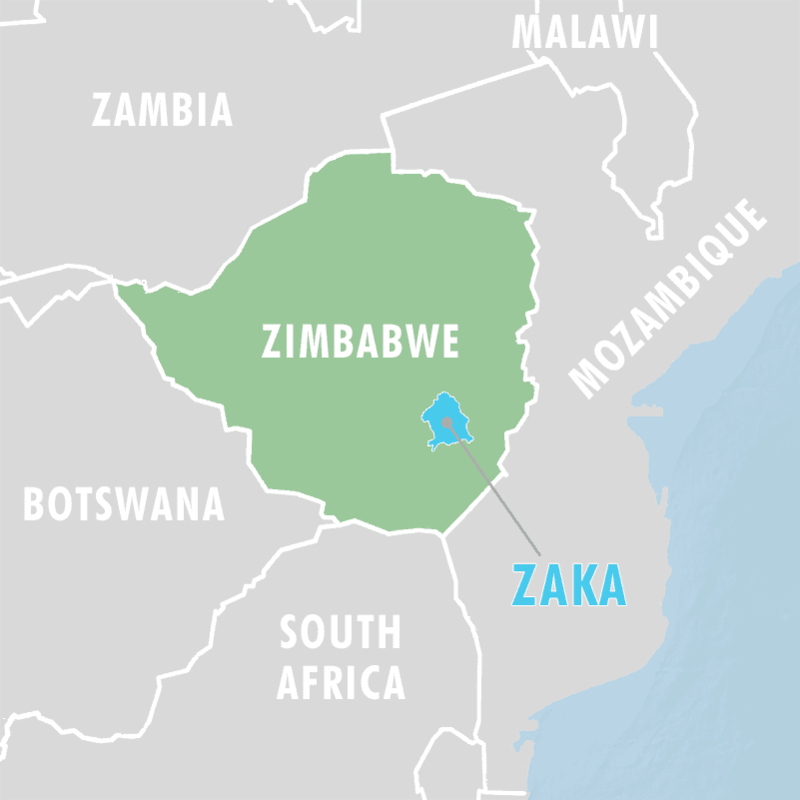 Zaka is a hilly rural region of about 200,000 people in southern Zimbabwe. Most people are subsistence farmers, but the area is dry and crop yields are very often poor. There is little economic activity, and it is difficult to see how many people even survive. Yet things are changing in 12 rural villages in Zaka. Bopoma Villages’ programs are restoring health through clean water, nutritious food and improved hygiene. Every day, more people living in extreme poverty are being equipped to create better lives for themselves, their families and future generations. See the difference good nutrition and better health makes to children, and how one school is supporting its orphaned students! Visit our Facebook page or recent news page for stories showing how lives and communities are being transformed. Wesley is a bright and engaging eight-year-old boy whose mother died in childbirth; his widowed grandmother, Locadia (above), cares for him and his older brother. She is one of the many heroic Zimbabwean grandmothers who are caring for a generation of orphaned children with few or no resources but with much love and determination. Locadia supports Wesley by selling fruits and vegetables by the side of the road—she may earn $15 on a good week, usually less. When we first met them in early 2014 they had only the barest essentials. They lived on a cornmeal-based porridge, with a few vegetables and fruits. Locadia is part of a group of caregivers who have been trained in biointensive agriculture. Wesley and Locadia now have fresh nutritious vegetables from a large community garden and their own household garden. Surplus food from the gardens can be sold to earn additional income to pay for clothes, school fees, visits to the doctor and other essential items they have done without. Wesley and Locadia now have clean water from a BioSand Filter, a Tippy Tap handwashing station, training in hygiene and nutrition, a rocket stove, and flytraps. Wesley now goes to school wearing a school uniform made for him by our amazing local volunteers. The family receives regular visits from a local volunteer who has been trained by Bopoma Villages to provide caregivers and orphaned children with practical and emotional support.